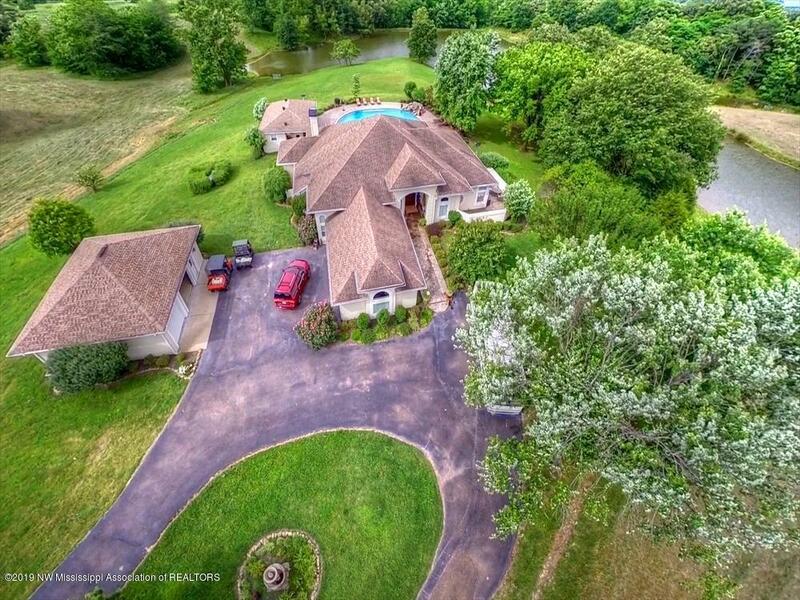 Gorgeous, Custom Built, Private Estate Home Nestled on 62.70 Acres of Rolling Hills in Tate County. A Gated Entrance Leads you to the Tree-Lined Private Drive, past 1 Pond & Garden Fountain, up to the Main House. The Landscaping is Breathtaking, as you walk up the Stone Path to the Covered Porch & into the Double Wooden Entry Doors. Inside the 4226 Sq Ft Main House, all on 1 Level, you will find 4 Bedrooms & 3.5 Baths...a Large Great Room w/ Built-Ins, Dining Room w/ Built-In Serving Bar, Spacious Eat-In Chef's Kitchen Equipped with Stainless Steel Appliances...2 Refrigerators, Ice Machine, Trash Compactor, Double Ovens, Warming Drawer, Gas Cooktop, Large Eat-at Island Bar, & Built-in Farmhouse Style Table/Bench...Mother-In-Law Suite with Den, private Bath, & Bedroom...Split Bedrooms w/Jack-&-Jill Bath, Huge Laundry Room with Over-sized Pantry/Linen Closet...Spacious Master Suite with Salon Bath & Large Walk-In Closets...Office w/ Built-In Desks...Built-Ins, Tall, Smooth Ceilings, Hardwood, and Tile are Throughout. Step Out Back Under the Large Covered Patio w/ Automatic Shades to find the Massive Outdoor Living Area, featuring a Huge U-Shaped In-Ground Salt Water Gunite Pool w/ Beach Entry, Grotto w/ Waterfall, Beautiful Landscaping, Grilling Area, & Pool House-all Overlooking a Huge, Stocked Pond. 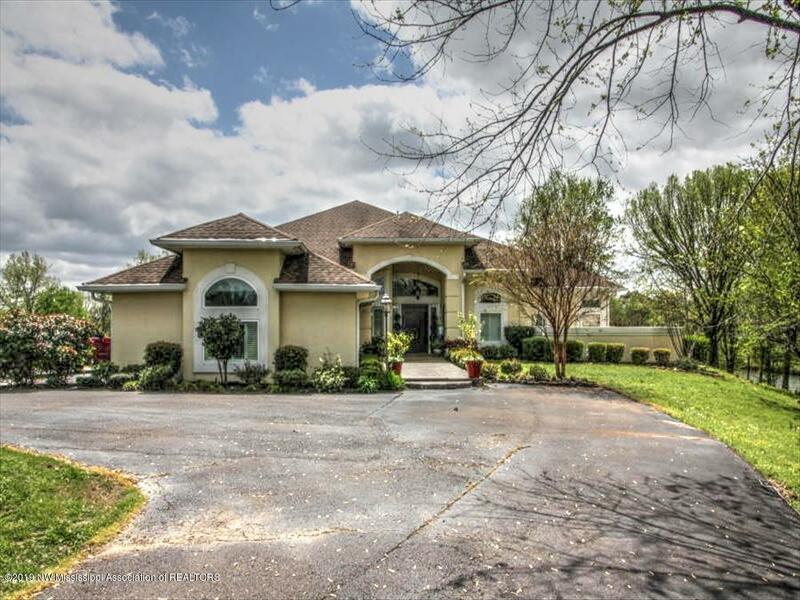 The Pool House Features a Covered Patio, Den, Built-Ins w/ Murphy Bed, Kitchen, & Bathroom. On the Exterior, you will find a Half Bath and a Mechanical Room for Pool Equipment. This Home also Includes a Built-In Vacuum System, 3-Car Attached Garage w/ Built-In Cabinets & a Detached 2-Car Garage w/ Built-In Cabinets & an Upstairs Loft for Storage. This Home Has Too Many Features to List. 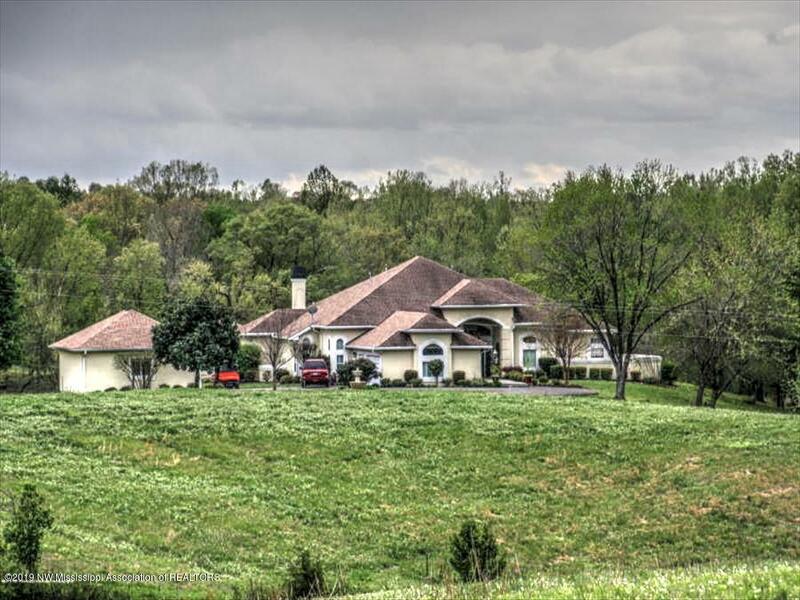 Call for a Private Showing of this Luxurious, Entertainer's Paradise Today! 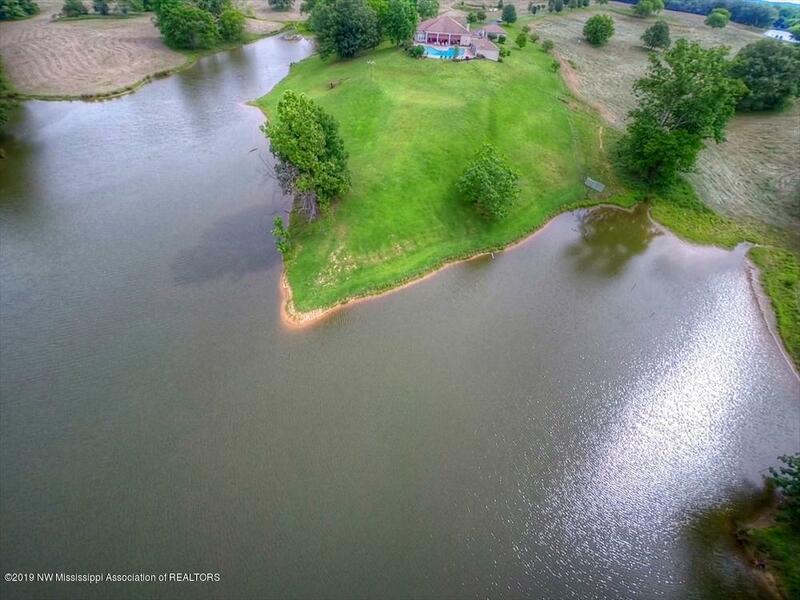 There is Additional Acreage for Sale, as well.